If you'd like to explore the gorgeous state of Louisiana from behind the wheel of a high-quality vehicle, stop in to visit us at our Volkswagen dealership in Lake Charles, LA. 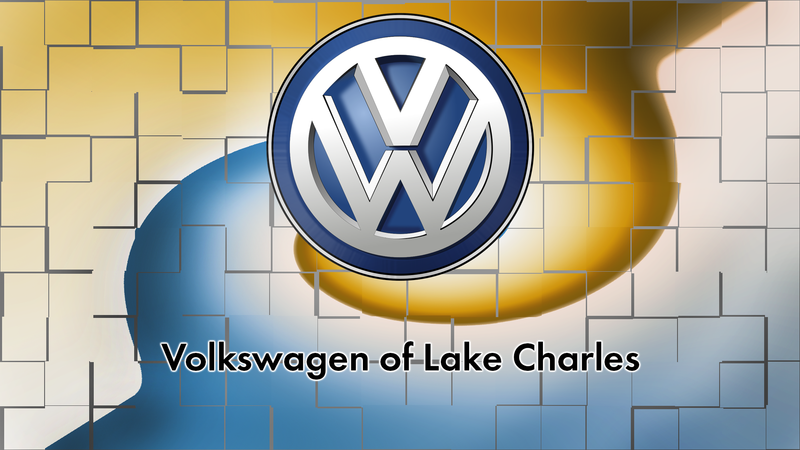 Volkswagen of Lake Charles is a brand-new dealership that offers a state-of-the-art showroom and facilities. Whether you want to upgrade from your current VW or step into the luxury of a Volkswagen for the first time, you'll be delighted with the kind of service you receive from our friendly and knowledgeable staff members. Schedule a test-drive online, then drop by to visit us in-person! At our Volkswagen dealership, we're dedicated to making the sophistication of a VW more accessible than ever before. Check our inventory often, as we're constantly running impressive specials to help you save big on the new, used or Certified Pre-Owned Volkswagen of your dreams. Maybe you'd like to drive home in a new Volkswagen Jetta or Passat, or enjoy the capacious cabin of a VW Tiguan or Atlas. No matter what you'd like to drive home in, speak to our financing experts about the different specials that are currently available! Plus, we're an easy drive away for our friends coming from Lafayette, Port Arthur, Sulphur and even parts of Eastern Texas like Beaumont and Orange! Need More Reasons As To Why You Should Buy from Volkswagen of Lake Charles? We're open six days a week, offering flexible hours so that you can always come in for a test-drive at a time that's convenient to you. Need service on your current VW? Schedule a service appointment online or stop by to talk to one of our technicians! We'll have your Volkswagen running well again in no time at all. If you're in a rush, our Service Xpress can handle a variety of different services with no appointment necessary, including oil and filter changes, tire rotations, exterior bulb replacements and more. We offer an impressive selection of new, used and Certified Pre-Owned VW models. Whether you need a capacious SUV or a sophisticated sedan, you'll find just what you're looking for at Volkswagen of Lake Charles. Our Volkswagen financing department can help you secure the auto loan or lease you need. Whether you have good credit or bad, our financing experts will find you a financing rate you can be happy about. Want to order OEM Volkswagen parts? Our VW parts center keeps a large inventory in-stock, so you can get what you need fast.